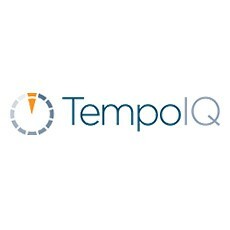 TempoIQ™ today announced the launch of the the 4th generation of the company’s leading no-code application platform. Among TempoIQ’s first customers for the new version are Wilson Athletic, Danfoss Drives, Bison Engineering, Silicon Engines, and other innovative companies in both consumer and industrial markets. Built on five years of IoT application and Platform-as-a-Service (PaaS) experience, the new TempoIQ IoT application development platform introduces new products that deliver IoT applications and insights faster and with more flexibility than ever before. With no-code application composer View IQ™, IoT product makers, asset owners and operators can quickly build their own custom applications, create real-time dashboards and design data visualizations with powerful time-travel reporting. Further, View IQ enables simple application and data sharing within an organization and ecosystem. Wilson Athletics’ new Wilson X Connected Basketball system is built with View IQ to provide marketing executives, product designers and customer service teams the real-time information they need to drive new product revenues. The new TempoIQ application development platform further builds on the company’s experience in IoT data management with Data IQ™. Architected around a flexible event data model, Data IQ enables customers to collect all of their IoT data and instantly enrich it with additional context, from any product, device or department. With Data IQ, customers can store all of their IoT data with instant access for reporting and deeper integration into the organization. Hardware manufacturer Bison Engineering uses Data IQ’s powerful data management capabilities to drive their product research and development. Connect IQ™ extends TempoIQ’s flexible IoT data connectivity options by enabling instant-on device provisioning that allows any IoT product, any where, any time, to begin streaming data to TempoIQ in real-time. Connect IQ adds MQTT support to TempoIQ, enabling new types of products and applications. Sensor network experts Silicon Engines chose Connect IQ to power the company’s new Wisplet IoT Engine and deliver a completely integrated, out-of-the-box solution.